Unlike Ireland, which is also a product of imperialism, modern Korea is a result of the lobbying and gamesmanship which didn’t effect Ireland as it was already well entrenched in the British imperial model of manipulation and exploitation. The imperialism that changed Korea was quite different. Following the arrival of the Japanese (note: not a great power, more on this later) in Korea, and later reactions by the French and American navies on Korean territory, Korea gradually opened up its borders and allowed foreigners to enter Korea. Many came as diplomats, government officials, businessmen, and of course missionaries. If you visit Seoul and spend some time close to Seoul City Hall, take a wander around the streets and occasionaly you’ll happen upon an old European styled building. Several are pre-Japanese rule and can give you a sample of how these new people began to shape a new Seoul with their influence. Korea, and especially Seoul began to change rapidly. In fact some Irishmen were heavily involved in this enterprise, notably John McLeavy Brown who functioned as chief of Korea’s customs and as treasurer. While McLeavey Brown was functioning here it’s important to note the Japanese influence in Korea was on the increase. I’ve read a few articles on this situation and for some reason they seem to point the finger at Japanese imperialism, but let’s not forget what year this was, and who McLeavy Brown was representing; he was the representative of the British Empire, not Great Britain or the UK, the British Empire, and this was a time when they were really the Empire. Of course Britain was one of the Great Powers, the others of course were France, Germany, Austria-Hungary, Russia, and to a lesser extent Italy. Britain, on the world stage, were by far the most significant entity by a large stretch. The British Empire had significant interests in the Far East, especially in China, but also trade with Japan and I can also assume with Korea. One of the Empire’s biggest concerns was securing the safety of their Indian Empire which was constantly under threat due to the distance from London, but also from the encroachments by the Russian Empire to the north. Much of the eastern expansion of the Empire was to protect their key valuable south Asian empire. Due to this constant pressuring on the extremities of the British Empire, they established Port Hamilton on Komundo, which is between Yeosu and Jeju Island, in 1885. The base didn’t last long but there are still some remnants in the shape of a cemetery. The Great Game – Russia and Britain at the turn of the twentieth century. 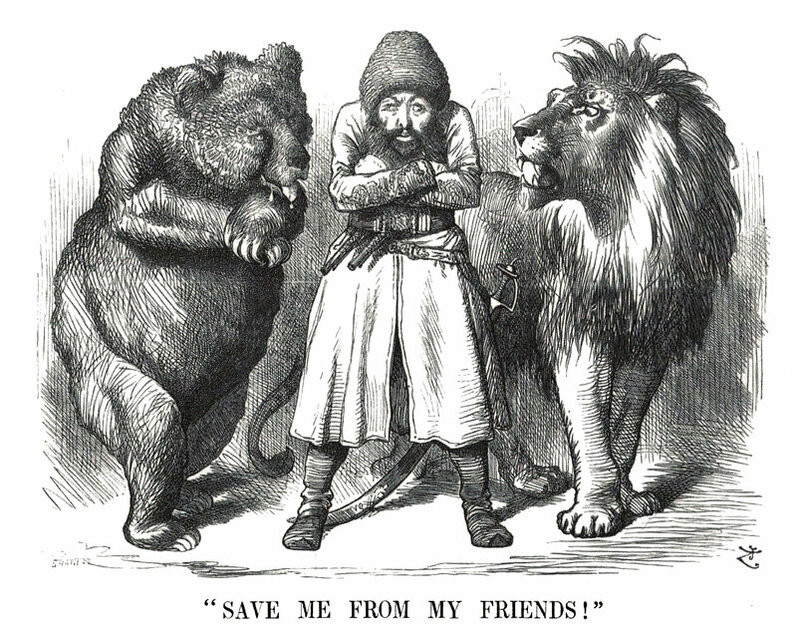 However, the British didn’t last long here despite the dangers from the Russians to the north in Vladivostok. As a means of establishing security and relieving the pressure on the Royal Navy which was significantly stretched in this area, an alliance were sought, and it was to Japan that the diplomats looked. In 1902 the first Anglo-Japanese Alliance was signed in London. Not only did this allow the British the security of an ally in very distant place, it also signified the rise of this up until then very small and provincial empire in the east. More importantly it was Japan’s first real foray into colonialism. It seems to me that this alliance escapes mention, and that Japan’s first major colonial venture did not go unsupported, and was in fact guided and assisted by the greatest power in the world at that time, the British Empire. This was a period long before the United States came to power – itself busy with its own internal colonialism – and a time when China, a huge empire in its own right, was crumbling under the pressure of the Great Powers commercial expansion in its territories. In fact the only power at the time capable of rivalling Britain was the German Empire, but this had grown disillusioned with colonialism and was concentrating on its own prominence in Europe. This was a very different Germany of course to one you may confuse with the Third Reich of World War 2 infamy. The other European powers, namely the Austro-Hungarian Empire, the French, and the Russians, were in notable decline by the beginning of the twentieth century. 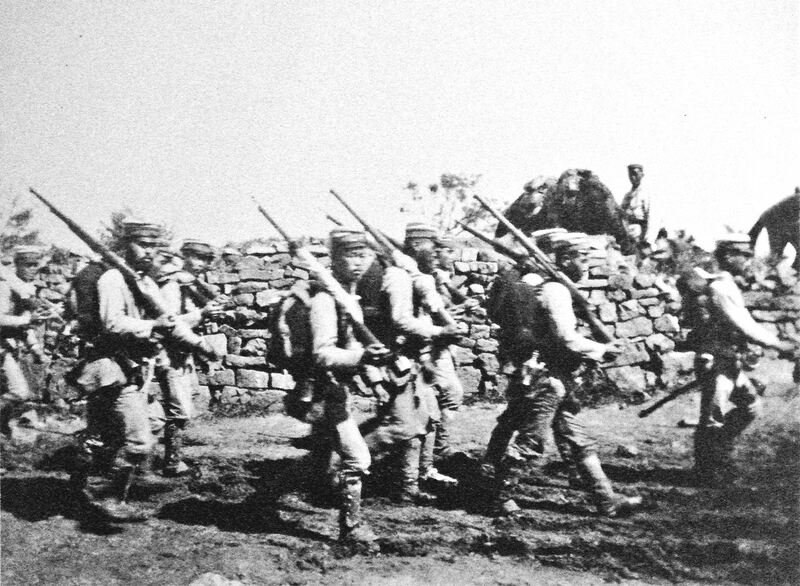 With the signing of the Anglo-Japanese treaty, Britain essentially gave its blessing to any Japanese expansion that did not conflict with British interests. 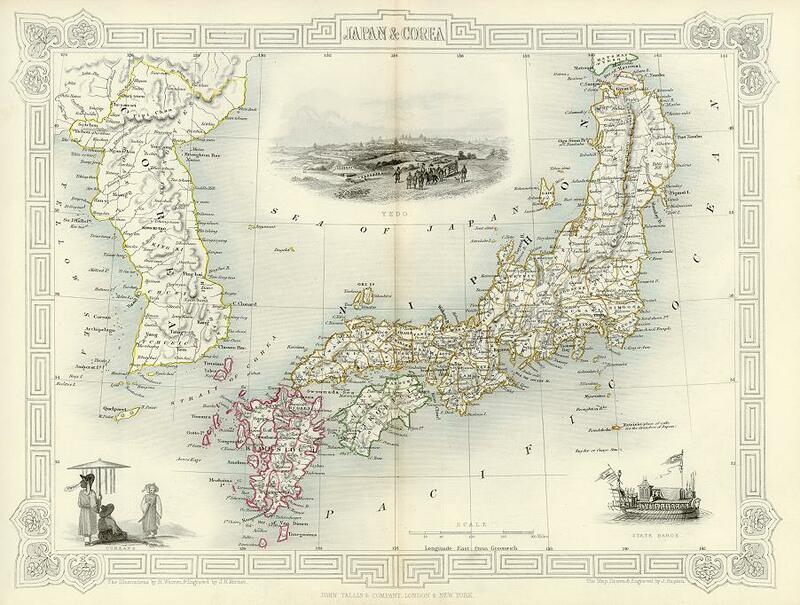 In 1906 the Japanese secured their prominence by defeating the Russians in the Russo-Japanese War. The Treaty of Portsmouth was Japan’s prize in this conflict, as well as a renegotiated alliance with Britain, which effectively guaranteed the Japanese complete and unhindered access to the Empire of Korea, which eventually led to Korea being annexed in 1910. With this Korea became another coin in the trading of nations which epitomised the colonial bargaining and pillage of the Great Powers. Like Morocco and the rest of North Africa, modern day Cambodia and Laos, Nepal, Afghanistan, and so many more territories during that period, European colonial powers carved them up with a pen on a map and distributed them like pieces of cake. Korea’s real carving though would have to wait another forty years. To add insult to injury, Korea was again left to the mercy of the dividing pen at the end of World War 2. Korea was not liberated, nor did it win its independence, this was gifted with the collapse of the Japanese Empire in 1945, and this played an important factor in defining the nation’s future. Korea again was set as a buffer between the US and the newly arrived Soviets, who essentially moved the majority of their army from one side of the world to the other following the fall of Germany in a desperate attempt to prevent US hegemony on their Asian doorstep, and they achieved this. Korean’s watched again as external forces dictated their immediate future, but this time their country was not occupied but it was divided in two. I think it can be safe to say that we know the outcome of this. The demilitarised zone between North and South Korea. In the twentieth century two events sealed the fate of this small peninsula. These events, despite the internal mechanisms which may have fought against them, came from outside Korea and were perpetrated by imperial powers. Today both North and South Korea rely heavily on the assistance of their major allies, while those who initially began the process of determining their fate over 100 years ago have relinquished their hegemony. Much of their rhetoric can be traced to this, perhaps. South Korea insists on standing strong, determined not to let what it has fought hard to achieve be lost in conflict. South Korea has clearly learned its lessons from the past, and while of course now a wealthy nation with much influence in international affairs, has the military support of the United States behind it, the British Empire of our time. North Korea is not without its lessons also. It’s anti imperialistic rhetoric will certainly ring clearly in the ears of those who live there, as I do not doubt that imperialism is a regular topic in history class. And we all watch as both rattle sabres again, demanding precedence but without much of an idea whether or not one will lunge. Such is the way the world operates I suppose, but I think this history is worth considering when we try to understand the thinking by both nations at a difficult and tense time like this. This is a rather rough account of my general thought – I don’t really have any further reading links other than the odd Wikipedia one which I used to confirm dates and treaty names.